RIGA, Nov. 6 (Xinhua) — Members of Latvia’s newly elected parliament, the 13th Saeima, re-elected Inara Murniece of the right-wing National Alliance as the parliament’s speaker in their first session on Tuesday. In the competition for the top parliamentary post, Murniece beat rival Dagmara Beitnere-Le Galla of the New Conservative Party. In the vote on the parliament speaker, Murniece received 13 votes from the liberal alliance For Development/For, 12 votes from the National Alliance, 10 from the Greens and Farmers Union and seven from New Unity. The 22 parliamentarians of the leftist Harmony party abstained. Beitnere-Le Galla was later elected the parliament’s vice-speaker. Murniece already chaired Latvia’s previous parliament. 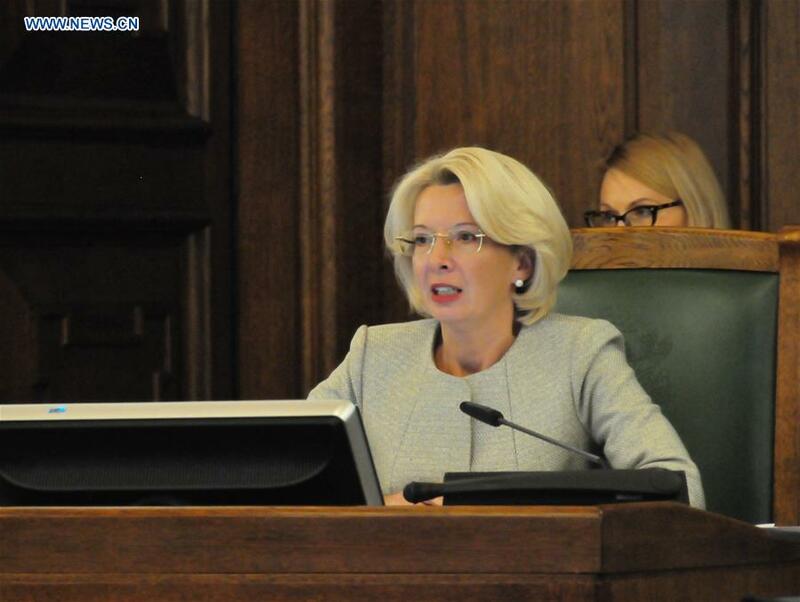 Her office duties include representing the parliament; chairing and ensuring order in parliamentary sessions; and performing the duties of the country’s president while the parliament is electing a new president or during the president’s absence from Latvia. On Monday, lawmakers still had not reached an agreement on the distribution of top parliamentary posts in the new Saeima. There is still no deal on Latvia’s next government coalition either.